Perhaps you’ve always found the idea of golf alluring but have yet to give it a try. Or maybe you have friends and family members who play regularly and always ask you to join them on the golf course. Whatever the case, it’s a fun and rewarding sport everyone should try at least once. If you’re interested in giving it a shot, our team can help. Acquire Your Gear: You don’t need to start with top-of-the-line clubs to enjoy your first round of golf. Instead, consider borrowing or renting a set. You should, however, come prepared by wearing appropriate apparel and the right shoes. Focus on Skills First: True beginners will benefit from taking a few lessons before playing a full round. In these one-on-one sessions, you learn how to perfect your swing and gather skills so you can partake in your first game with confidence. Learn the Lingo: You’ll hear phrases such as “birdie,” “bogey,” and “eagle” on a golf course. Browse through a glossary online so you can understand what fellow players are saying. Know the Rules: Etiquette is enforced by many courses to give all players a fair and fun experience. There are a few golden rules you should learn, such as staying quiet when another player hits a shot. Get Out & Play: Lastly, the best way to become a better golfer is to simply get out there and play. Your skills will develop naturally over time, but remember to enjoy the learning experience, too. We welcome golfers of all levels, and with options such as private lessons, our team is committed to providing an outlet for every player to enjoy the game. 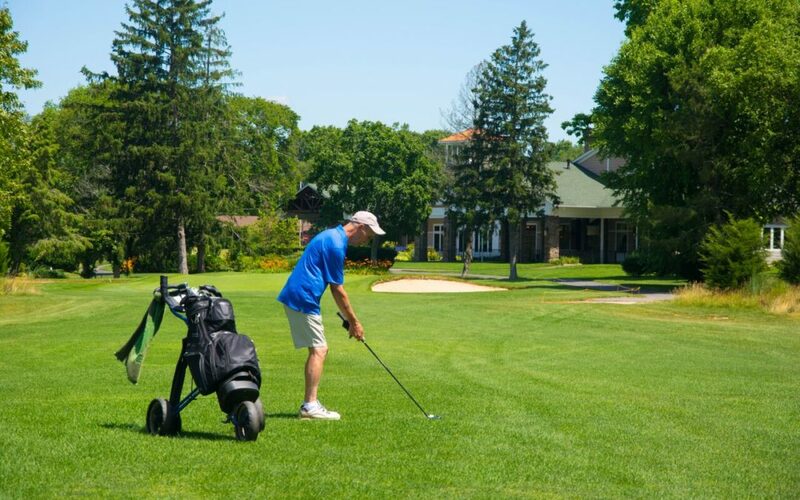 To learn more about our golfing options or to speak with someone from the golf course call (856) 691-5558.